Our roofers have been providing Parson Cross with affordably and highly professional roofing solutions for many years, and that's why we have such a fantastic reputation. LRS Roofing are the experts to callif you need assistance with roofs, chimneys and skylights! With great prices, exceptional customer service and the assurance of professionals every step of the way, we are your number one choice wherever you are in S5. We offer all homeowners in parson Cross a free estimate for every job, so give us a call if you'd like us to have a look and assess the extent of the problem with the roofing on your home. All our work is also covered by our extensive guarantee - and the guarantee we give you will be honoured in full - because it's insured - even if we to cease trading. For anything you want doing, you want an excellent roofer. Give us a ring now and speak to one of our passionate team. Contact 0114 304 9116. Call us today for your free estimate without obligation. 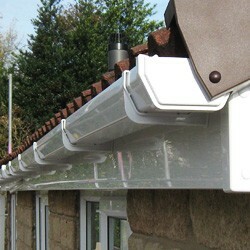 Our roofing company is well established in Sheffield. We’ll come and visit you to discuss your needs and give you a free estimate. Call us and we'll arrange a good time to come over. Back to topLRS Roofing, Sheffield, 28a Ball Street, Sheffield, S3 8DB.